Natalie Bonilla Romero ’09 trained as a doulah while a teenager in New York City but expanded her health care knowledge at EMU. She spent several years as an emergency room nurse before becoming a nurse practitioner. 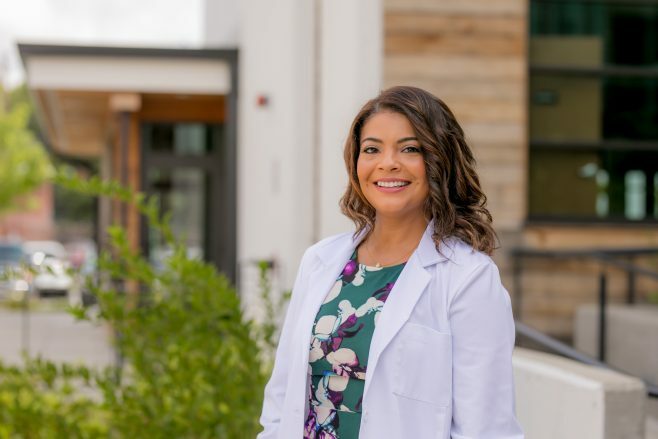 QUICK MEDICAL APPOINTMENTS and “making sure all the patients get taken care of the right way” don’t always equate, Natalie Bonilla Romero ’09 said recently. A nurse practitioner in an Atlanta-area clinic, she’d just gotten off work late, again. A patient with “pretty basic” upper respiratory symptoms also had unrelated lab test results Romero wanted to explain. “That, in a nutshell, is primary care,” she said – not with resignation, but with conviction that what she offers her patients is making a difference. She became interested in midwifery, and as a teen became a doula. After her family moved from New York City to Lancaster County, Pennsylvania, Romero gained experience through connections with Amish midwives. When she enrolled in community college, though, she was encouraged to broaden her training and pursue a nursing degree, and she soon transferred into EMU’s nursing program. It was difficult, landing on an unfamiliar campus where she knew no one, had no car, and was hours away from her parents – and the coursework wasn’t easy, either. She had to retake a couple classes, and remembers the pressure of knowing that passing was a requisite for advancing. Once she found her footing, she fell in love with the EMU social scene, was active in the Latino Student Alliance, connected personally with professors (that connection continues: last fall she met with Professor Laura Yoder for dinner), and appreciatively attended chapel services. 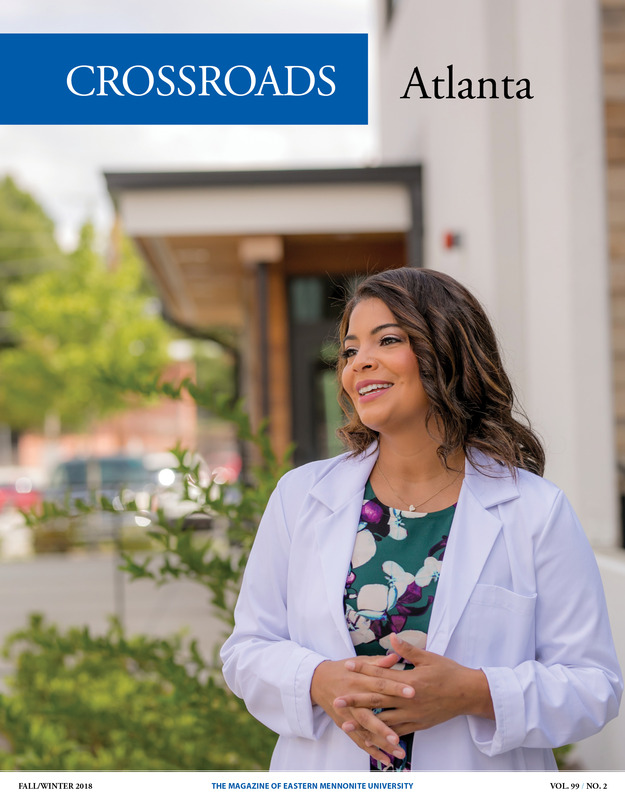 After graduating from EMU, Romero spent time in community and emergency medicine, in part at Gwinnett Medical Center in Atlanta. Caring for a spectrum of the population, and not providing only maternity care, felt right: “This is the role that I was really meant to fill,” she realized. Romero continued working and enrolled in a dual-degree, three-year program, and earned her MSN and nurse practitioner’s licence. Now, she’s seeing her own impact, a culmination of her life’s experiences, particularly when she meets with patients grateful for a Spanish-speaking care provider. That translates into better care.